It was during my time in the hospital a couple of months ago that I first heard of the Forever Living Clean 9 from my dear friend Eva. She told me all kind of amazing things about this Aloe Vera product that she has been involved with and how well it works, but I was not truly convinced about the product and her story. It was months after my time in the hospital that I noticed that I still was not the old me. I still felt weak, had a lack of energy,even after hours of sleep, didn’t recognized my own image in the mirror, my skin looked grey and I had to deal with overweight that I gained from the different medication. I really wanted to detox my body after dealing with the heavy medication for almost 2 months like Prednisone, Morphine, Antibiotics, Sleeping Pills, Contrast Liquid of the MRI scans and many others. 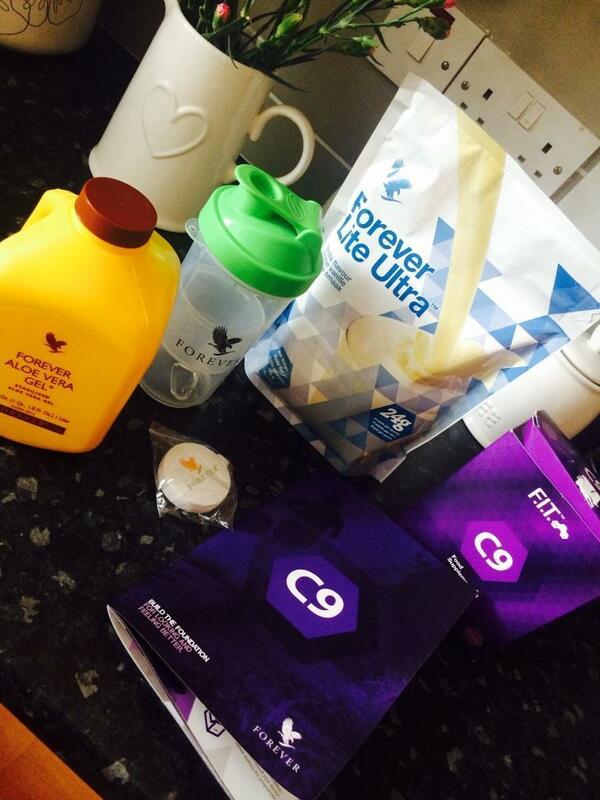 So after months fighting my chronic Pericarditis in 2 hospital I decide to give the Forever Living C9 a go. 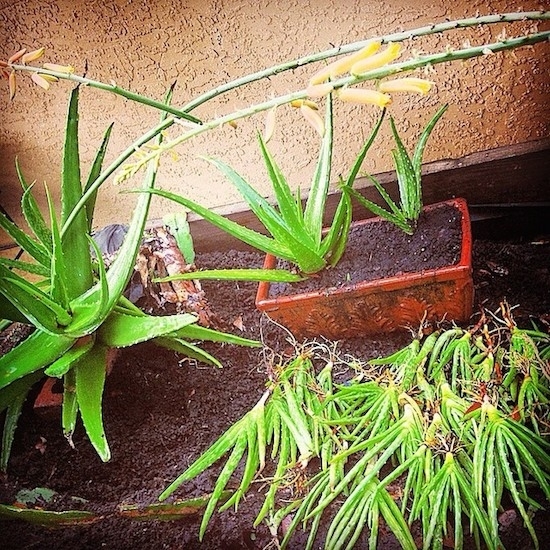 After all I lived in the Caribbean for 10 years and learned and witnessed about the miracles Aloe Vera can do for the human body. 9 days seemed daunting, but I was determined to follow the program to see if it really worked, after al what did I had to lose. Some of the online reviews sounded too good to be true, reporting feeling oh so fit, full of energy and weight loss of up to 5 to 6 kilo. Skeptical, but curious I called Eva and said, “Ok let’s go for it and started my Forever Living Clean 9 Detox journey, here’s how I got on. The Clean 9 set contains one tin of Forever Lite Ultra Shake, one shaker beaker, two 500ml bottles of Aloe Vera Gel, one box of Garcinia Plus tablets and Therm tablets, a box of viber snacks, a booklet to track progress, a guide on foods to eat, recipes for the 600 calorie meal allowance and one tape measure. Eva became my Clean 9 distributor and coach and we kept in touch throughout the detox via text, phone calls and WhatsApp, and was on hand to answer any questions I had, this gave me a very comfortable feeling. Thanks again for that girl, you are the best and the sweetest. 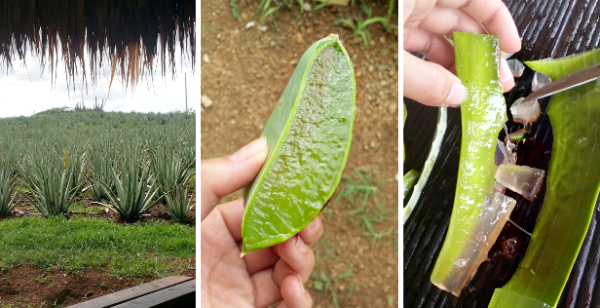 There’s a lot of Aloe Vera gel involved over the first two days and given it for most people an unpleasant taste and texture, it can be quite testing. I had a glass of water beside me during the first 2 days to help disguise the aftertaste, but I have to say that after 2 days it was not so unpleasant anymore, especially when you drink it cold or mix it with fresh orange juice! 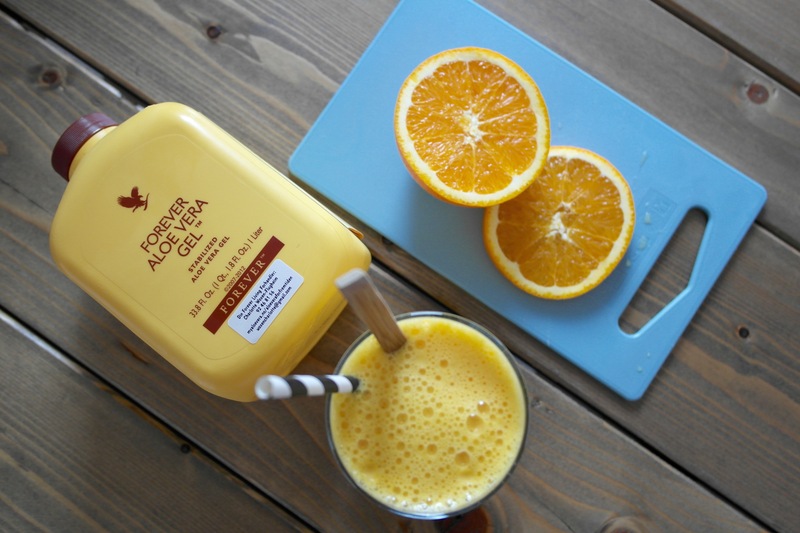 Aloe Gel mixed with fresh orange juice. During the first 2 days you can’t eat at all (no I’m not kidding) and only consume the gel, therm, Garcinia and you can have one of the shakes for lunch. That’s it, but surprisingly it wasn’t hard at all for me and I didn’t craved for food or snacks at all. And I can tell you that says a lot as most of you who follow my blog know. Ps. Delicious new recipes coming soon. Day one and two are by far the hardest according to the testimonials I have read, but I hardly noticed anything of it, but I would definitely recommend starting over a weekend, or on a day you’re not in work as some of you will experience the no energy and maybe some headaches and lack of concentration. I would say every body reacts in his own way. I guess if you already live a very unhealthy lifestyle and eat a lot of junk food you probably have more trouble getting yourself through the first 2 days. Don’t forget the effects you might experiencing is the toxin that is leaving your body. The first two days where like any other except for the fact that I developed a very close and passioned relationship with the bathroom. I noticed that something was in motion in my body. By the end of day two I was motivated by the thought of having dinner on day three, so I started creating my own recipes as I just love to cook. I never weighed myself during the following 6 days. I only weighed myself on the day I started the detox as losing weight wasn’t my main goal when I started with this detox program. 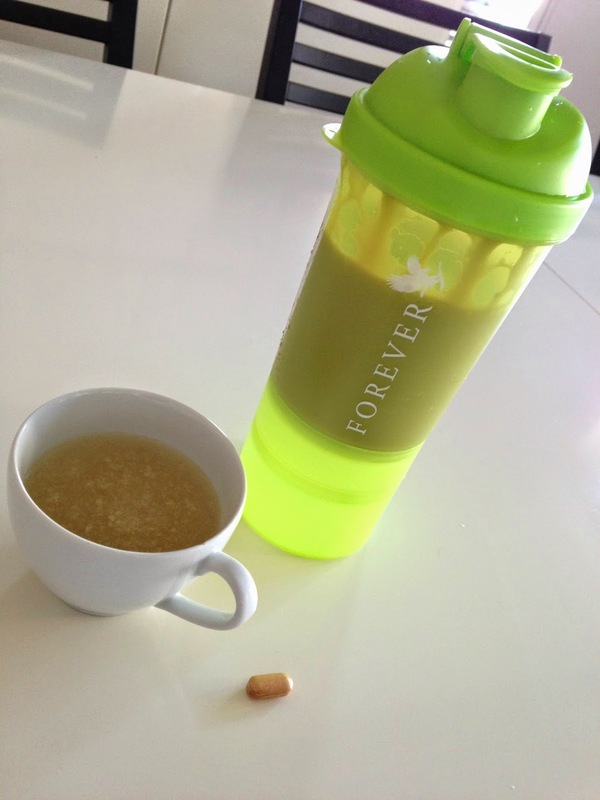 Day three to nine allows a shake for breakfast and lunch and a 600 calorie dinner. I have to say I switched from time to time and switched a fruit veggie smoothie for breakfast instead of the shake. You drink the Aloe Vera gel throughout the whole detox together with the Garcinia tablets which help to boost your metabolism and as stated in the little holy book of the C9 Detox program, you have to take them before the shakes and dinner. My breakfast for 9 days. I measured myself on day one and again on day three and I had lost about an 25 cm on my thighs and my tummy was down an 38 cm. Quite impressive considering I hadn’t exercised at all. I was excited to see how the rest of the course would go when I started back my dinners. Day 4 was my cheating day; I visit a friend and at most of our get togethers there was wine and snacks involved. I slipped up and had a glass of wine and some toast with a delicious french cheese (I couldn’t resist), honestly to say I quickly regretted it. So I brought in some damage control the next day to stick to the plan from A to Z. I felt it was important not be too hard on myself, as I still had 5 days to go and had seen the change start to become more noticeable. I kept in mind that this detox shouldn’t be a punishment but something that was necessary to clean my body after the many heavy medications I had to take during my battle in the hospital. Day 5,6,7 and 8 my jeans started to get loose around my tummy and I fit into a dress that was too small for me previously. I was down 3 kilo and my energy levels were sky high. I felt amazing and fit. People around me started to notice a difference. Things like, “Wow, you look good and all sparkling!”, “Did you lose weight?” and “Your skin is glowing again!” were just some of the things that were mentioned to me. And you know what? I felt really good and full of energy. It was after a couple of months I felt like this again and darn it felt good. Day nine finally arrived and I raced to the scales to see the results – I had lost a total of 5 kilo. I was ecstatic! I still felt like I looked the same, maybe a little slimmer, but really saw the difference in clothes. I kept weighing myself to be sure it was correct! It’s been 3 weeks since I finished the Clean 9 and I haven’t put the weight back on. But more important I feel full of energy and I don’t have to deal anymore with a lack of energy, tiredness and I look and feel healthy again. Yes my eyes are sparkling again and my skin has a healthy color. I even sleep all through the night and wake up all fresh and ready to conquer the day. I have tried to maintain a healthy diet during the 9 days, but you have to enjoy life as well so I’ve created my own recipes which brought in the fun during my detox. I noticed that I started to become more creative with choosing my ingredients and products for my meals. I will share some of the recipes in the following weeks with those of you who want to detox and still enjoy a tasty meal. Eating healthy doesn’t mean eating tasteless or boring. Just change some ingredients or the way you prepare your food. 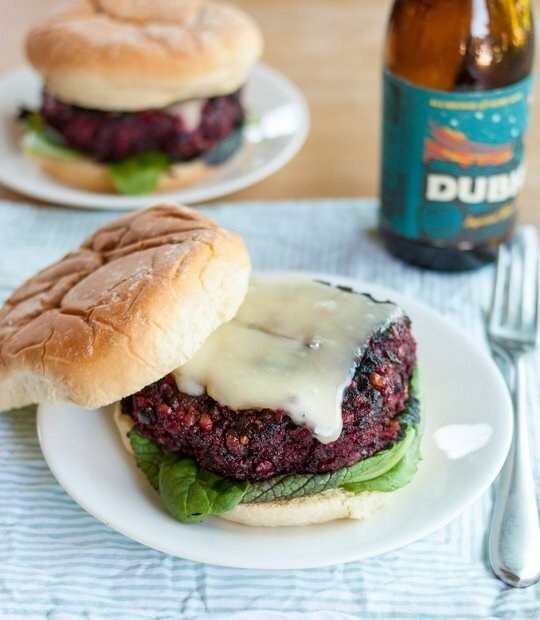 Beet burger with vegetarian cheese. I can genuinely say the Forever Living C 9 did miracles for me, and while for some it may not be easy to do this program – the results are so worth the 9 days of detox and drinking the Aloe gel. It’s a perfect detox to do after the summer and after the Christmas holidays and yes it can help you lose those extra pounds. I will definitely do another detox in the first week of January. In the meantime I am sticking with the Aloe Vera Gel, as it’s done wonders for my skin and the rest of my body. Now if you want to try the C9 Detox yourself let me first point out that the Forever Living products are NOT for sale in stores. 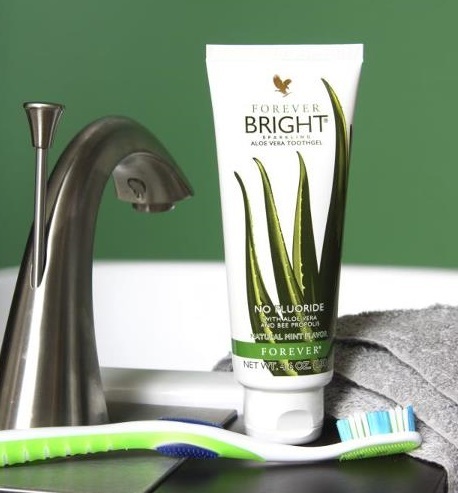 So if you want to know where you can buy your C9 Detox set or maybe some of the other amazing Forever Living products, like for example their make up line or toothgel (you will looooooove that one) feel free to contact Eva at www.allabouteva.flp.com and send her a message through the contact form on the site. If you go for it I wish you all the best with your detox and I would love to hear from you how you experienced the C9 Detox. ← How to “Find Yourself” on a tiny island?